Click here to view a webinar example. Educate your ideal audience! 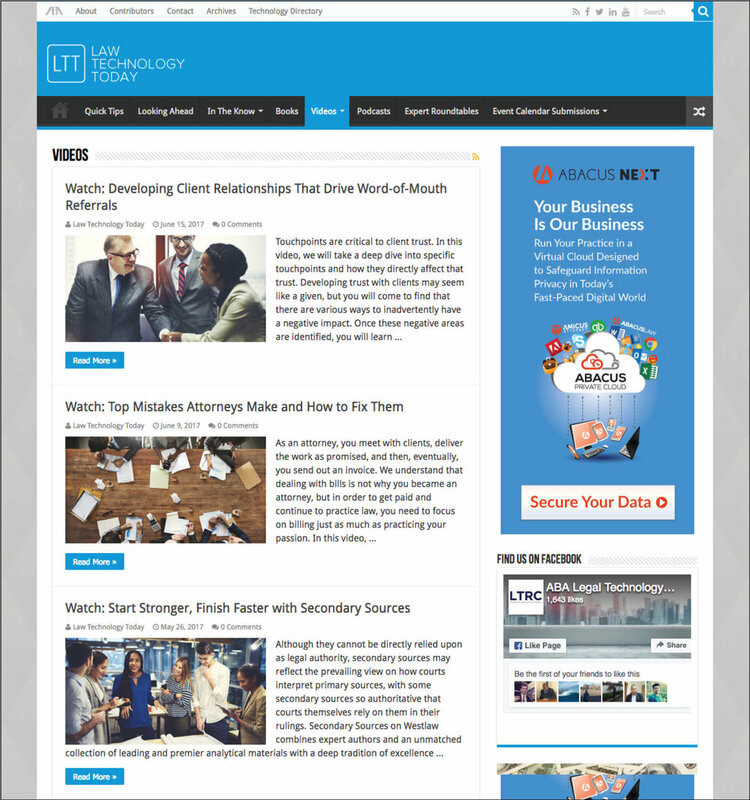 LTRC webinars are promoted to targeted audiences based on your topic and demographic needs. Firm size, practice area, conference attendee and book/CLE purchase profiling are all available to focus the webinar marketing efforts to the right audience. We can even include your own marketing list providing you a very strategic approach to your education and thought leadership outreach! ...and more! We are open to almost any topic or idea that you may have!